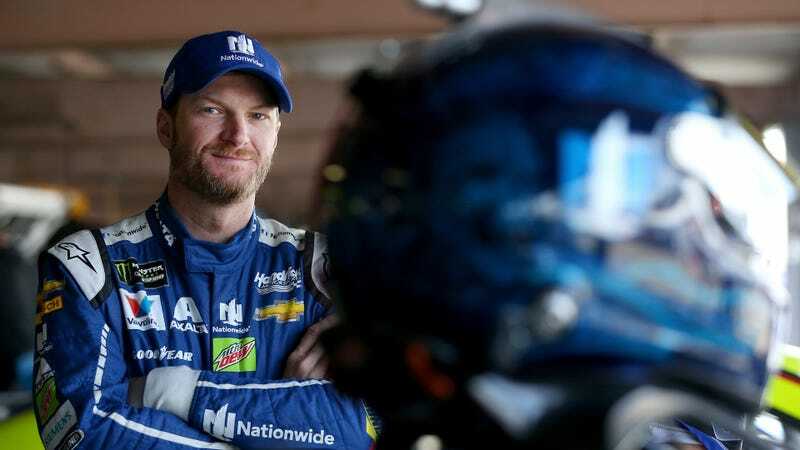 There isn’t much that comes out of Alabama, other than college football, that makes you say “Hell yeah.” But hell yeah, the Alabama governor declared this Sunday as “Dale Earnhardt Jr. Day” across the entire state. Get your Dale Calls and your Mountain Dew beer hats ready, y’all, because it’s time to celebrate. Dale Earnhardt Jr. Day will officially be Oct. 15 of this year, the same day that Earnhardt will run his final race at Alabama’s Talladega Superspeedway as a full-time Monster Energy NASCAR Cup Series driver. Earnhardt has six wins in the Cup Series at Talladega, and a large portion of NASCAR land would probably love for him to make it seven on his own, newfound Alabama holiday. Throw on your cleanest No. 88 shirt and maybe shave that number into your body hair. Don’t get a tattoo of Dale’s face unless you’re sober. And remember, if you get into some silly argument with someone who says you’re not as big of a Dale fan as they are, his real name is Ralph. That’ll show them. And most importantly, hope that what may be Earnhardt’s final time around Talladega goes a lot better than his last Daytona International Speedway race did over the summer.